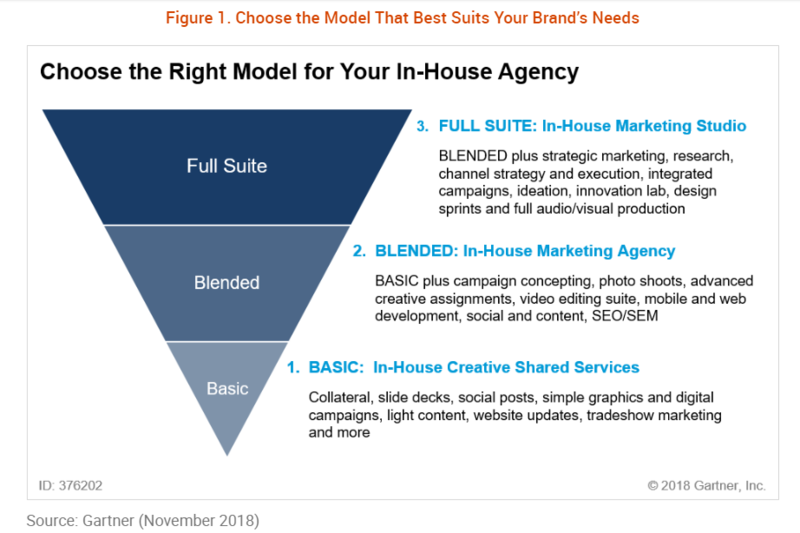 If you’ve started an in-house agency or are ready to build or formalize one, it’s a good idea to clarify the benefits, choose or adapt to the best model and optimize for performance. Using outside agencies and vendors will always be a part of the marketing ecosystem, yet in-house agencies are increasingly common for today’s marketers and brands. Foster innovation and strategic decision making. Once the decision is made to start an in-house agency and benefits outlined, choosing the best model is critical for sustained success. See Figure 1. For more details, see CMO Insight: Justify Benefits and Choose the Best Model for Building Your In-House Agency (Gartner for Marketing Leaders/GML seat required to view full research report). 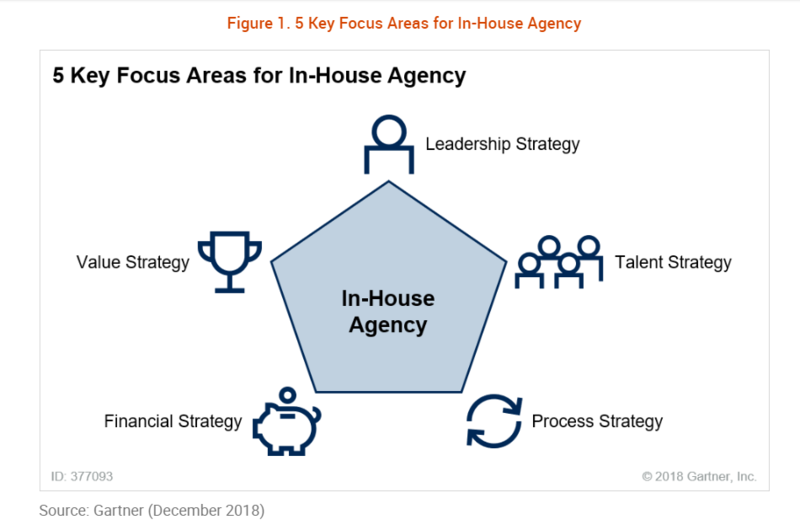 To build and optimize your in-house agency, focus on 5 key areas to address the many challenges you’ll face as you meet the specific needs of your larger organization. For more details, see CMO Insight: Focus on 5 Key Areas to Build and Optimize Your In-House Marketing Agency (Gartner for Marketing Leaders/GML seat required to view full research report). Seek feedback from key requestors of the work and your current team. Identify or hire a champion to help implement the plan. Meet with your CFO for financial management assistance.